Below are some basic steps to prevent your banking information from being compromised. Never let your banking card out of your sight when conducting a transaction at a point-of-sale terminal. Always remember to take your banking card and transaction record with you once your transaction is complete. Be careful when a clerk takes your card and swipes it for you. Pay attention that it is not swiped more than once through the machine. Always shield your PIN when conducting transactions at an ATM or at a point-of-sale terminal. Your banking card and PIN are the keys to your account(s). Never disclose your PIN to anyone. You are the only person who should know it. 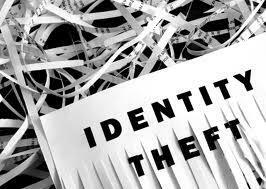 Make sure you shred personal and financial documents before putting them in the garbage. Periodically check your credit reports, bank and credit card statements and report any irregularities promptly to the relevant financial institution and to the credit bureaus. For further detail please visit your banking institution or their website.